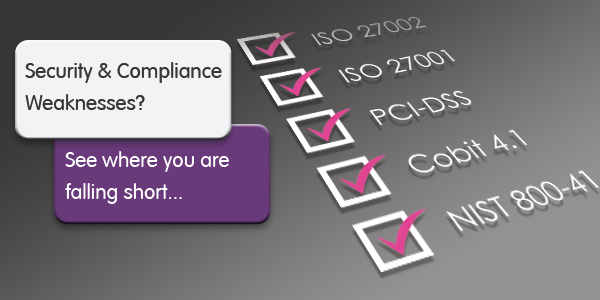 With Check Point’s Compliance 3D Report you can now see if you are ticking the right boxes. Check Point are now offering customer advice on how to best configure your Check Point Software Blades, avoiding misconfiguration and achieving optimal security and performance. 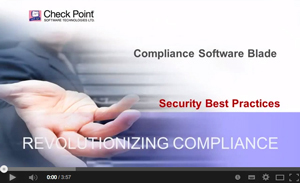 Check Point has revolutionised compliance with the first integrated and fully automated security & compliance monitoring. The Check Point Compliance Software Blade provides continuous monitoring, strengthens regulatory compliance, maintains secure policy, and reduces audit time & costs. 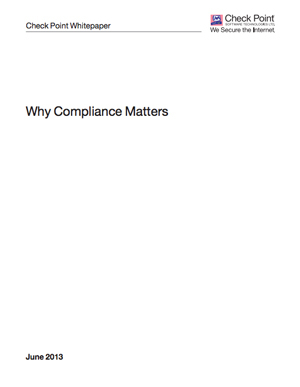 The Compliance Blade allows you to detail how well configured you are in real time and also makes recommendations on how you can improve. Quick insight into your Security and Compliance status against Check Point Security Best Practices. For details on how to install your Compliance Blade on a free 30-day trial and/or how to generate your Compliance 3D Report, please Click Here. For more information on Check Point’s Compliance Software Blade or to see a sample report, please contact us at marketing@metadigm.co.uk.